Detail of glass night tables. Cherry, macassar ebony, glass side tables. Steam-bent cherry curves are 5 feet wide and 12 feet long. 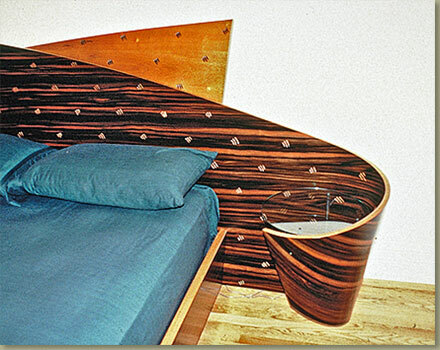 Macassar ebony is vacuum formed over one of the curved panels.